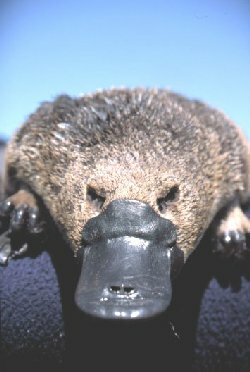 The camel has been famously described as a horse designed by a committee, so the duck-billed platypus was presumably the product of many long sessions around the whiteboard by wildfowl consultants “thinking outside the box”. Er, what was my mission again? The trouble with most corporate announcements these days is that they are similarly constructed through the collective efforts of those with too much time on their hands. Even though I make a living of sorts out of ghosting the things, I often find myself longing for the days when a Chairman’s Statement was just that: an autocrat’s personal and sometimes colourful account of how he (and, let’s face it, it was nearly always a “he”) saw the world. Mission statements seem particularly inclined to suffer at the dead hand of the committee. When someone first came up with the idea back in the 1980s, I was all for it: a few simple and well-chosen words on the first page of an annual report that would allow the reader to grasp in an instant what the company did and how it intended to prosper. Once a name like “Jones the Butchers” on the cover would have provided a bit of a clue, but after the branding consultants had transformed that into Arriva, Aviva or Aveva, some further help seemed appropriate. Then the groups with no ear for English and absolutely nothing better to do set to work, trying to come up with something inspirational and memorable that would bring a warm glow to all their “stakeholders”. I recently wrote a brochure describing a technically complex business in what I thought were simple and accessible terms. A couple of attempts were required to correct my initial misunderstandings, but if I say so myself the third draft was as near to a good read as anything on this particular subject was ever likely to be. Then the final version destined for the printers came through and I found that the inevitable committee had been at work, randomly inserting passages of total gibberish, laced with incomprehensible acronyms and couched in jargon that only an industry expert with a PhD in gobbledygook could hope to understand. Few things seem harder than writing plain English. Researchers (presumably organised into a committee) recently came up with the breakthrough of rewording medicine labels, because the previous warning to “avoid alcoholic drink” apparently led to many people carefully skirting around the licensed aisles in Tesco, but cheerfully washing down their medication with a large tumbler of Scotch. Now that will be replaced by “do not drink alcohol while taking this medicine”. Which, as any hardened boozer could have told them, will be taken to mean that you should not swallow the pills with the whisky, but that there is no reason not to have just the couple before or immediately afterwards. Corporate statements can be short and pithy, for example “Google’s mission is to organize the world‘s information and make it universally accessible and useful.” Which at least makes sense, even if it isn’t half as memorable as the informal company motto “Don’t be evil”. Alternatively, they can be succinct and laughable, like Royal Mail’s “Our vision is to be demonstrably the best and most trusted postal services company in the world.” No mention there of their real mission of making deliveries ever later, collections earlier, and scattering red rubber bands in their wake. Strangely this makes no reference at all to outsourcing virtually all customer contact to call centres in India, programmed to respond to complaints with assurances that you don’t have a problem at all; and to advise those with no broadband to seek help online. And that, fundamentally, is the problem with mission statements. They don’t matter one jot if your organisation has not embraced the fundamentals of delivering excellent products or services through the efforts of well-trained and committed people. I have read suggestions that the committee approach to producing a waffling mission statement is a great way of team-building, but if that’s what you’re after I’d just send them off to one of those places where they will be challenged to get across a lake with two planks, an oil drum and a ball of string. And if you really must have something on your website about what makes your company so great, why not slip a few quid to a needy professional writer? Do contact me if you need some suggestions on where to look.